The lifestyle at Azuri has never been more true to the concept designed by promoter and developer, BlueLife Limited: a community of people comfortably integrated into a village-by-the-sea lifestyle that combines Live Work Play. We met with homeowner, Johan Le Bail to find out what a typical day at Azuri is like for him. At forty years of age, French expatriate, Johan Le Bail, moved into Azuri last March 2017 with his partner. Johan loves the sense of balance he experiences here: that of living within a natural and serene landscape, alongside a lively village, where he can combine the rigours of a gratifying work environment with the enjoyment of a fulfilling social life. “The cosmopolitan vibe of Azuri’s inhabitants makes it a place where one comes into contact with people of many different affiliations,” enthuses Johan. The day begins for Johan with an early morning workout, whether it’s a gym session, archery practise, playing tennis or swimming. Later on, he sets up by his computer to catch up on emails, make phone calls, and contact local-based partners. At lunchtime, he meanders across the Market Square to the Café or Ô Marché Gourmet, for a bite to eat with friends or family (his parents also live at Azuri). He loves the easy atmosphere where he can eat a simple meal or grab a quick sandwich, according to his schedule and whims. After lunch, he returns to his office at home to work throughout the afternoon and early evening with international collaborators. Wi-Fi access allows him to keep in touch with business colleagues, friends and family overseas, perfectly tuned to the 2- to 4-hour time difference with European countries. Johan finds it very easy to work in this ‘pop-up’ environment, and even sets up a desk at the Café if the mood strikes. In the evening, Johan and his partner join friends for a drink – in one another’s homes, beside the community pool, or at one of the various venues of the village (Coast, Beach Bar, the hotel). Dinner follows and then it’s bedtime with a good book, relaxing to music or watching the latest film. “Azuri is truly a Smart place to live’,” says Johan. “It is not a walled community, so there are no physical boundaries, and this encourages open relations between people. There are lots of amenities and the resort development continues to move forward. Today there is tennis, archery, water sports; tomorrow there will be golf. The village is always animated, and there are activities and events for everyone, including the many kids who love living here. I can walk everywhere; there is no need to drive unless I go outside on the weekend, to visit other regions of the island. 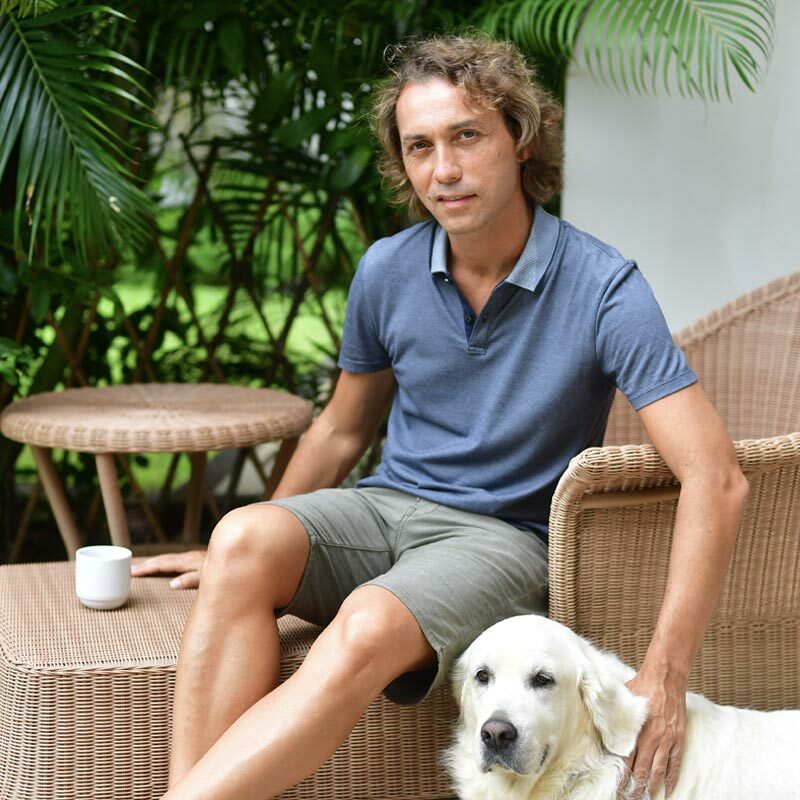 Clearly, Johan has found his Eden, and for someone who relishes a balanced lifestyle after years of an active work life, his story is testimony that Azuri is the place where one can live in a way that truly embodies the spirit of Live Work Play.